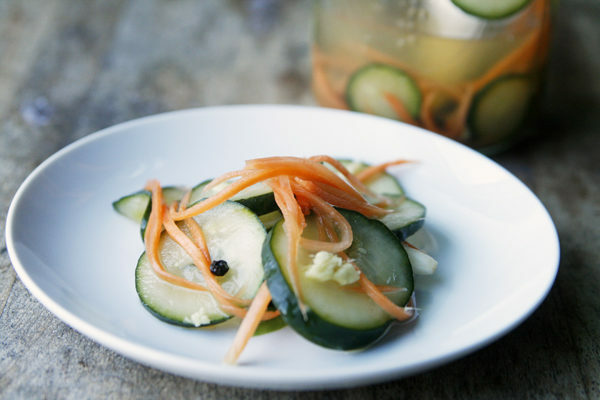 With a quick pickling process, these Garlic Ginger Carrot and Cucumber Quick Pickles are easy to make and have a lovely Asian-inspired flavor. The articles were all based on the recently released results of a 2013 study that looked at the impact of different marketing techniques — banners, television screens, etc — on whether kids at 10 schools would eat more veggies from the salad bar. The marketing program likened veggies with super powers, and turned ordinary veggies into super hero-like characters. The results showed a marked uptick in how many students in the schools ate from the salad bar. Likening vegetables, with all their vitamins and minerals, to super power-giving fuel taps into our fascination with super heroes and the idea that through biology or science, mere mortals (and their alien counterparts) can have extraordinary power to save the world. My inner geek loved is. While I don’t believe that kids need to be “tricked” into eating veggies and fruits (seriously, it’s food. We’re people. 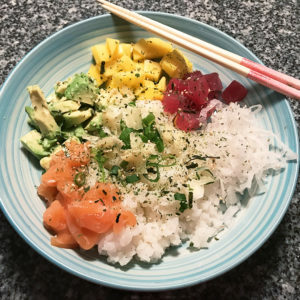 People eat food), I am all for anything that makes their display eye-catching and appealing. Why shouldn’t good food be fun? And the fact that it attracted more kids to enjoy it? That’s pretty rad. And really, why shouldn’t catchy marketing be used for good food? Another way to make food fun? 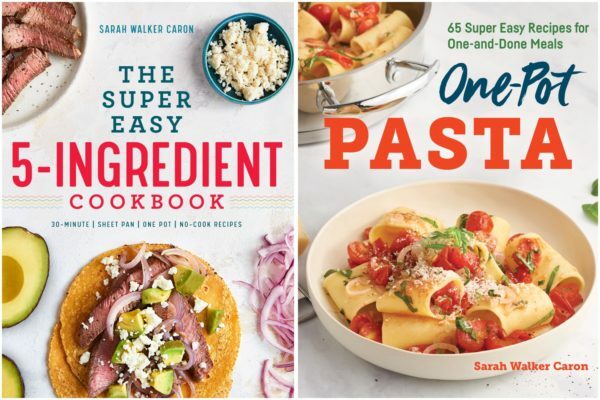 Get creative in the kitchen. 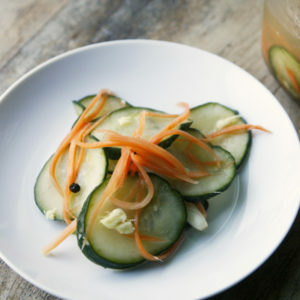 Taking the foods you love (my kids, for instance, adore both cucumbers and their pickled version), and transforming them in a tasty recipe like Garlic Ginger Carrot and Cucumber Quick Pickles? That’s pretty fun too. My kids gobble these right on up. Me too. 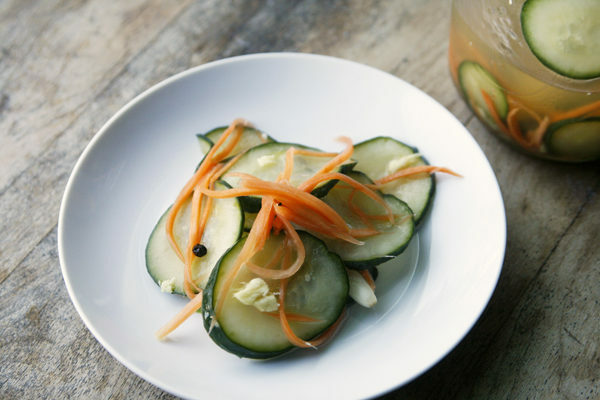 Fresh garlic and ginger join with seasoned rice vinegar, honey, peppercorns and more to flavor these sweet-tangy Garlic Ginger Carrot and Cucumber Quick Pickles. They are refreshing and vibrant, full of flavor and attitude. 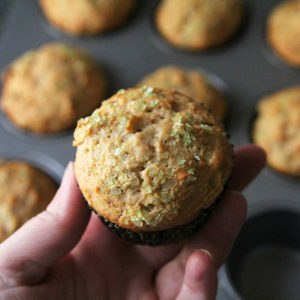 And, as if the flavor isn’t enough, they’re easy too. 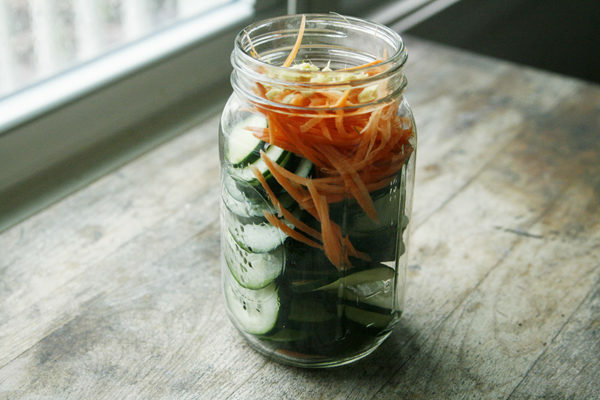 You simply layer the cucumbers, carrots, ginger and garlic in a jar. The ginger and garlic go on top so they can flavor everything. Then you pour in the warm pickling solution — vinegar, water, honey, salt and peppercorns. Close the jar top, and let it sit for at least 30 minutes, giving it a shake every so often. Then they’re ready. Easy peasy. 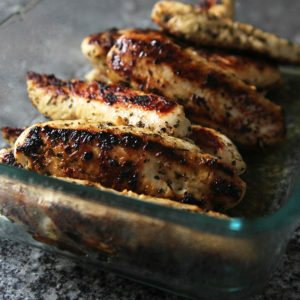 Of course, if you can be patient, the flavors get even better with time. Why shouldn’t good food be fun? 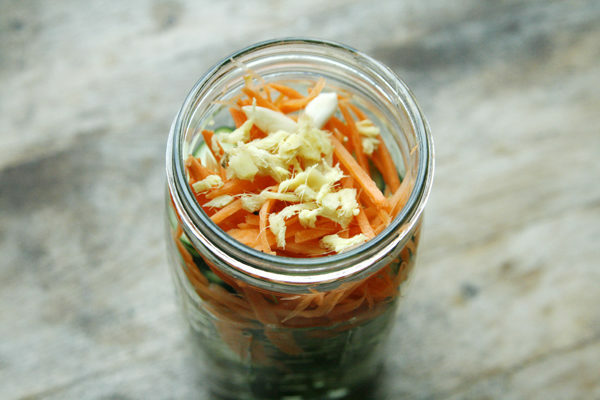 Add the cucumber slices, julienne-cut carrots and garlic to a bowl or quart-size canning jar. In a small saucepan, combine the vinegar, water, honey, salt and peppercorns. Heat over medium heat to a bowl. Pour over the cucumbers and carrots, and shake to combine. Let sit, shaking occasionally, for at least 30 minutes. I wonder if more kids ate spinach when Popeye was on tv. I think they still sell spinach with Popeye on the can. Here, at least. Great post Sarah. I agree on both fronts, that we shouldn’t trick kids into eating veggies and that smart marketing veggies is a win for everyone. These quick pickles would last all of 5 minutes in my house. My daughters and I would devour them in one sitting!! The flavor sounds amazing! And I agree, good food should be fun! How much ginger did you actually include? I don’t seem to see it listed in the ingredients. Did the seasoned vinegar contain the ginger flavor? Thanks, it would be delicious either way. 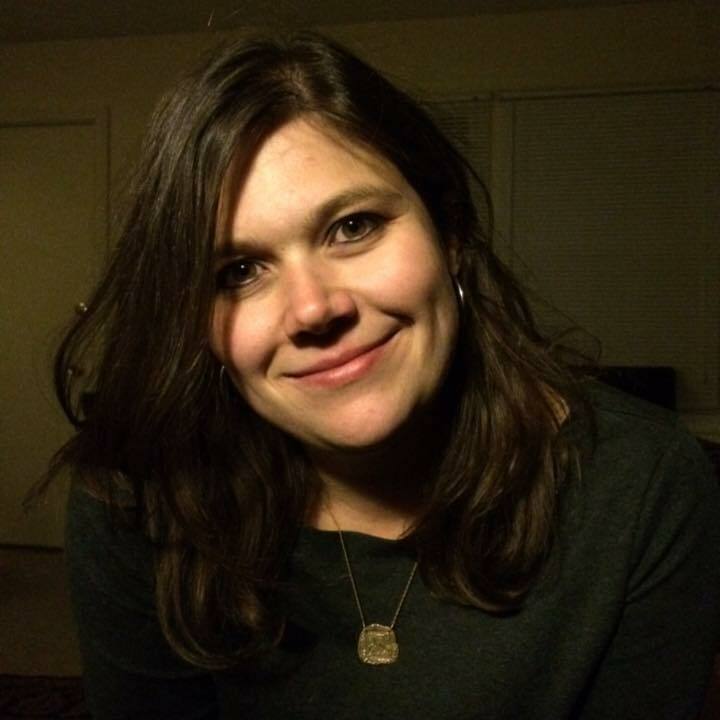 Hi Lora: Thank you so much for bringing this to my attention. I added a 1-inch piece, finely chopped, to the pickles. 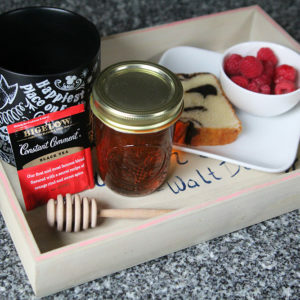 (I’ve updated the recipe as well.) Hope you love them!